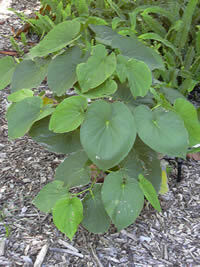 The word kava is used to refer both to the plant and the beverage produced from its roots. 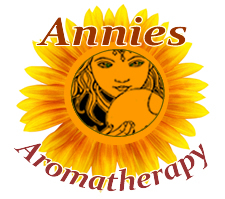 Kava kava can be used as a mild sedative for nervous tension and stress. The active constituents in the roots, kava lactones, have relaxing and intoxicating properties. Kava can be used as a relaxing, evening drink with friends, as long as it is used in a responsible manner. Preparation Methods & Dosage :Kava kava root powder can be made into a milky drink by mixing with one tablespoon of powder per cup of water, extract, capsules, or cut root can be added to herbal teas. In this shrubs native habitat, Polynesia and the Pacific Ocean Islands , natives calm down by chewing a few leaves, but the best medicine is in the roots, which can be used to make a tea. 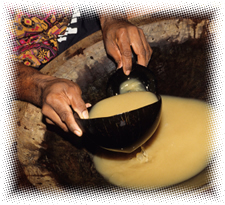 Kava is used for medicinal, religious, political, cultural and social purposes throughout the Pacific. These cultures have a great respect for the plant and place a high importance on it.